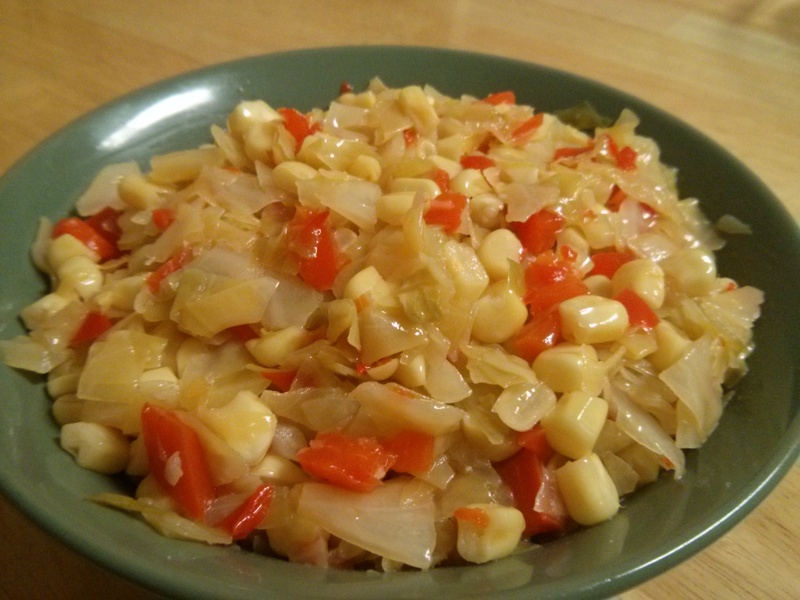 It’s an entree, if you really like cabbage and corn and red pepper. That’s the name I’ve given it at least, based on the happy way it reminds me of salty, buttery popcorn, while also bringing a sweet note and a smooth texture. Sounds good, right? The recipe’s orgins are based in CSA serendipity. Having gotten a head of cabbage in my weekly share a few months ago, I had the thought, Why don’t I try something new? 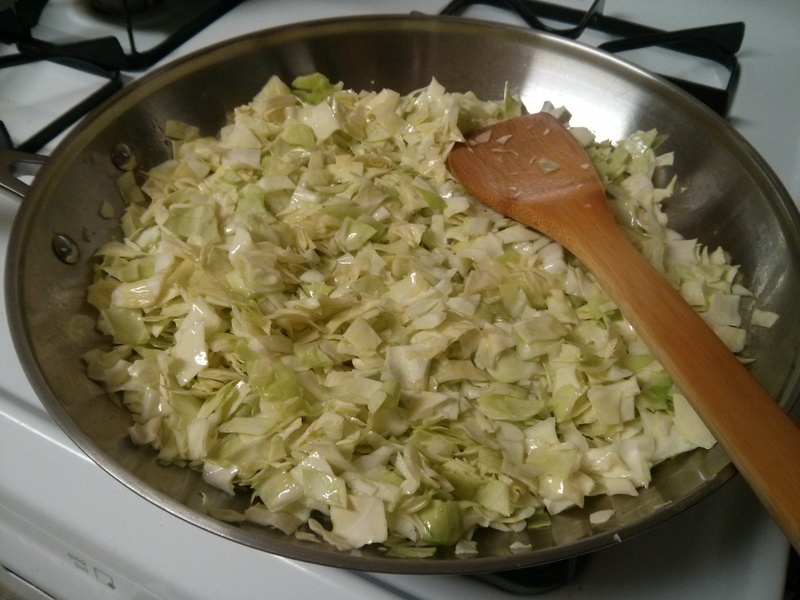 For me and cabbage, this meant not letting the cabbage sit in the fridge for several weeks and then using it as a minor soup ingredient or as a lettuce replacement for tacos and taco salad. 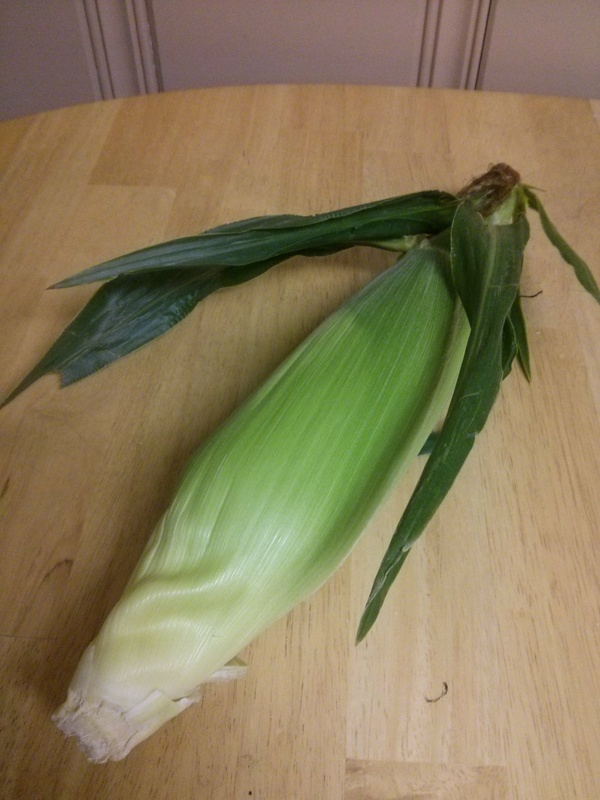 I happened to also have an ear of corn at the time, and with my first thought being, ‘I want to try something that cooks the crunch out of the cabbage,’ I started by sauteing the cabbage in olive oil. 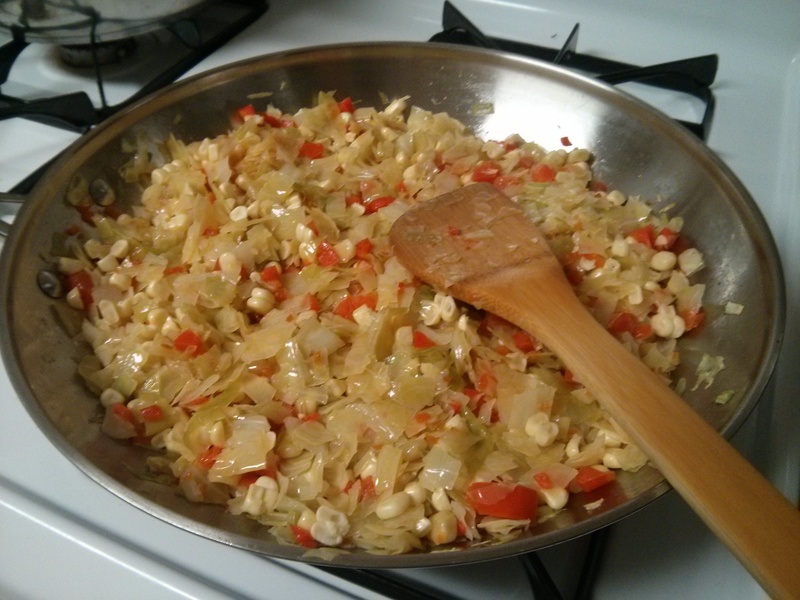 Then the rest followed from there, with the addition of a chopped red pepper and fresh corn. It’s easy to make, so if if you’re looking to try something new, give it a try. Here’s how the ingredient roll-call and the steps looked when I made it this week. Yes, it wasn’t the biggest head of cabbage I’d gotten this year, but it was the pointiest. As for the steps, the initial preparation was quick. 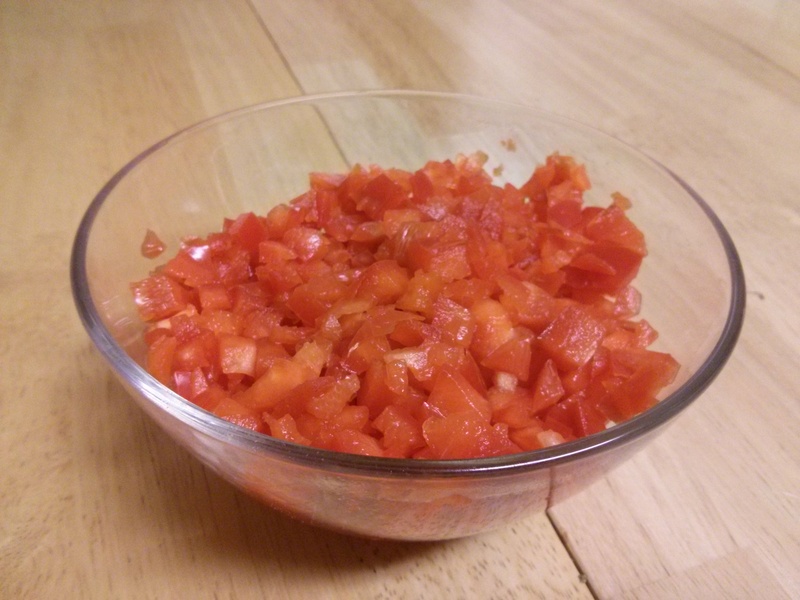 I chopped the cabbage and red pepper into small pieces, and I cut the kernels off the corn. 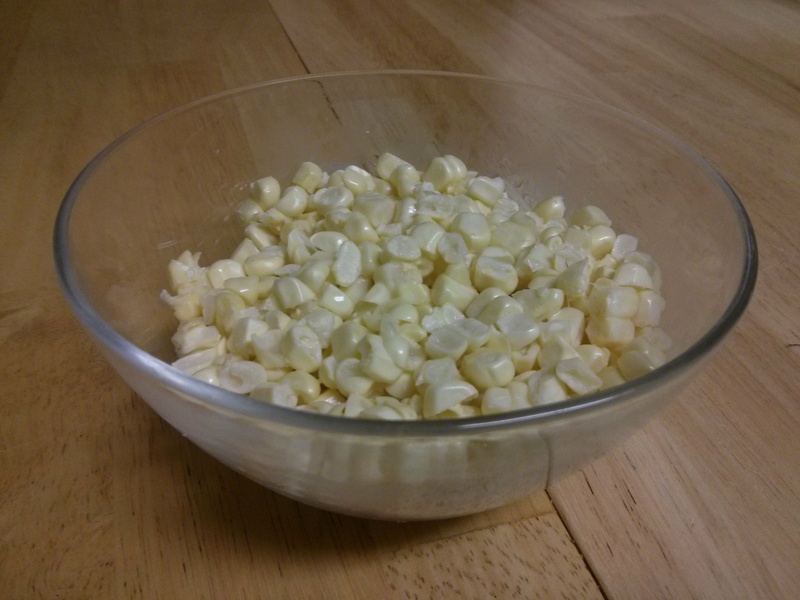 My technique for the corn is to break the ear in half, stand each half upright on a cutting board (one half at a time), and then slice the kernels off with a knife. With that done, all that is left is to add the ingredients one at a time and cook. 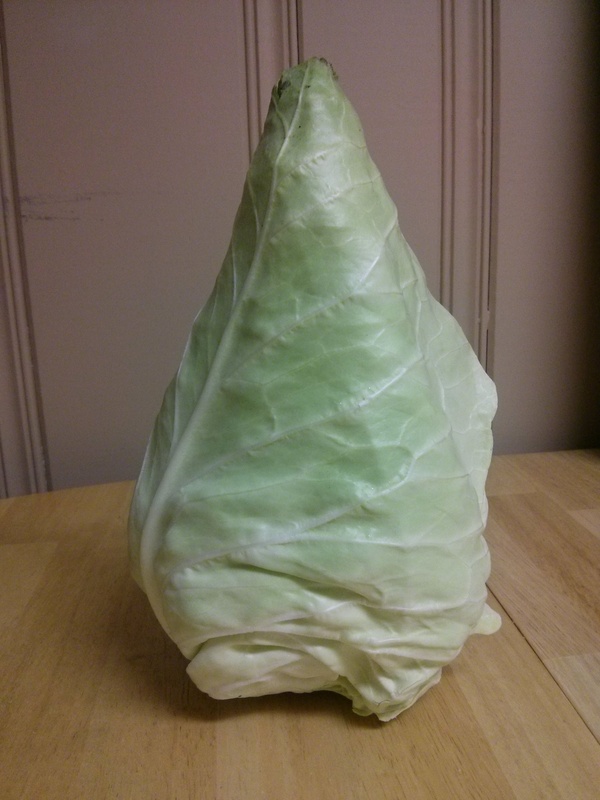 Since this was my first time cooking conehead cabbage, I also had a cabbage realization: the top part of a conehead cabbage cooks faster than any part of a regular cabbage (which makes sense since the leaves on a conehead are thinner). I’ve tried a few variations since the first time I made it, such as also sauteing an onion at the beginning (not bad, but it takes away from the corn and cabbage; the simpler the better for this one) and making it without the chopped red pepper (also not bad, but then it’s missing the color, the art, and an added taste-subtlety of similar size). 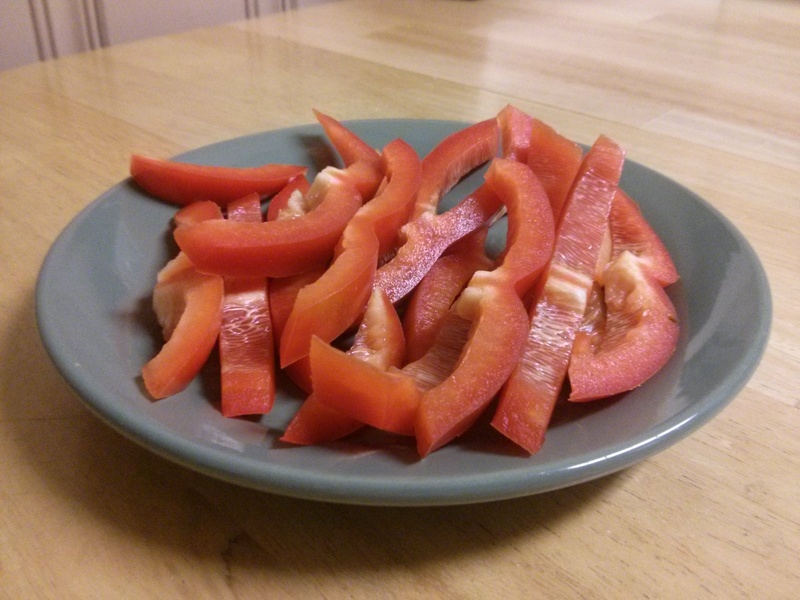 Plus, if the recipe uses half a red pepper, you can cut the other half for a snack! After I was done, I did some online searching and found that there are indeed some recipes out there similar to mine. 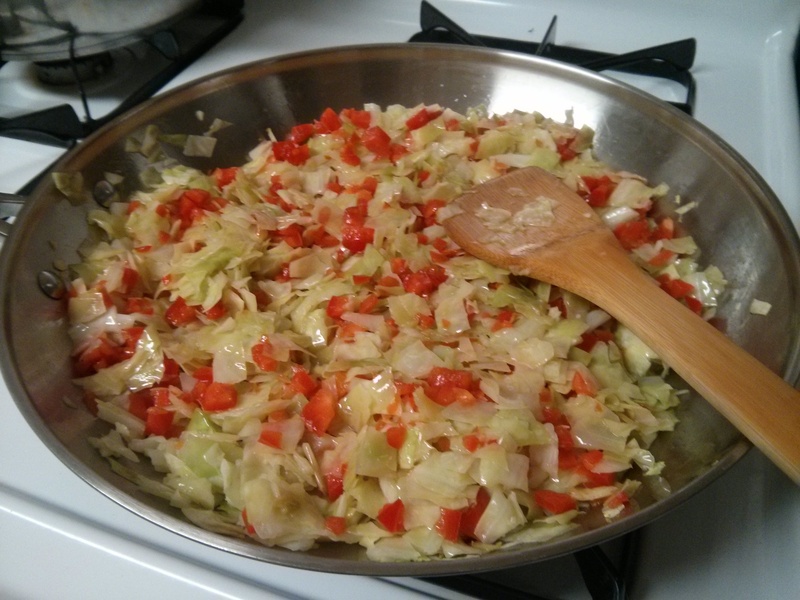 For some reason though, they’re all called Sauteed Cabbage. 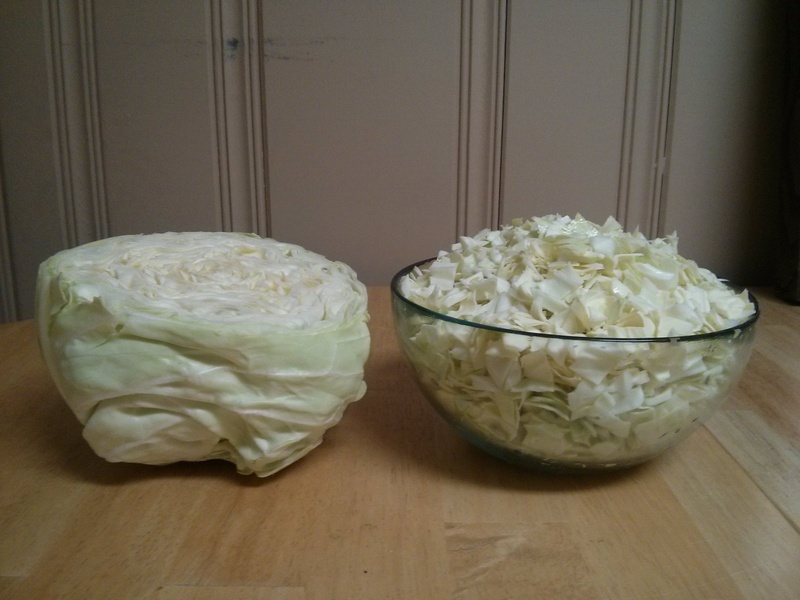 To the internet and the world, I thus add the following entry: Popcorn Cabbage. Sometimes all you need are three ingredients. 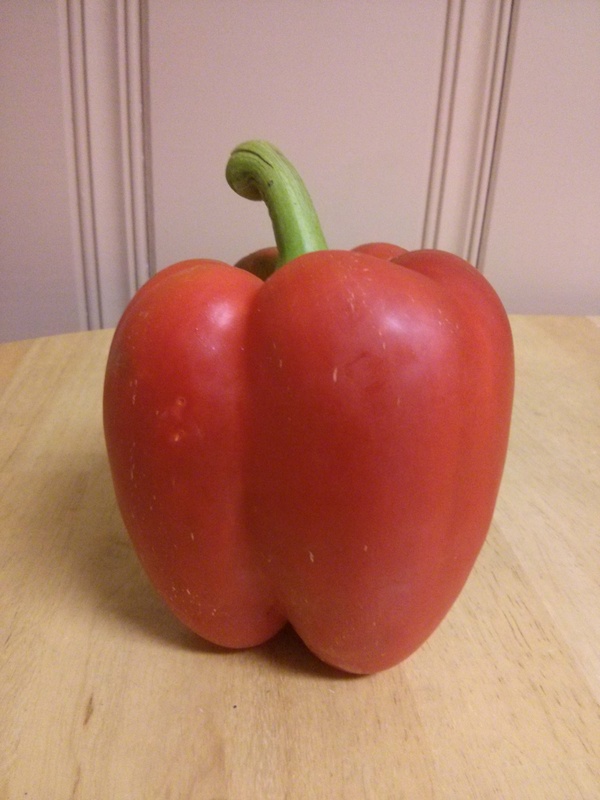 This entry was posted in Uncategorized and tagged cabbage, corn, CSA, food, internet, popcorn, recipe, red pepper, vegetarian on October 29, 2014 by dave379.